Sustainability is a huge driving force for us here at Taino. 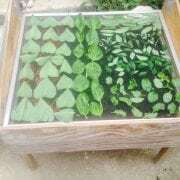 I had mentioned our aquaponics system in a previous post but that ideal should never escape our minds. Keeping this focus allows us to positively impact the land and lands surrounding us and finding creative and effective uses for our waste is a core component. Today we will look at a few food storing methods that I have done here at the farm to keep our food supply sustainably and waste free. 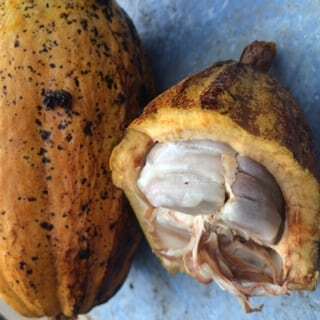 Harvests sometimes yield more that we predicted (not a bad thing) but we then end up with a surplus of specific foods and having methods such as drying and pickling allows us to preserve them for longer periods of time. Below we will discuss some drying projects I have been working on (pickling to come in a future post). This is our solar dehydrator. 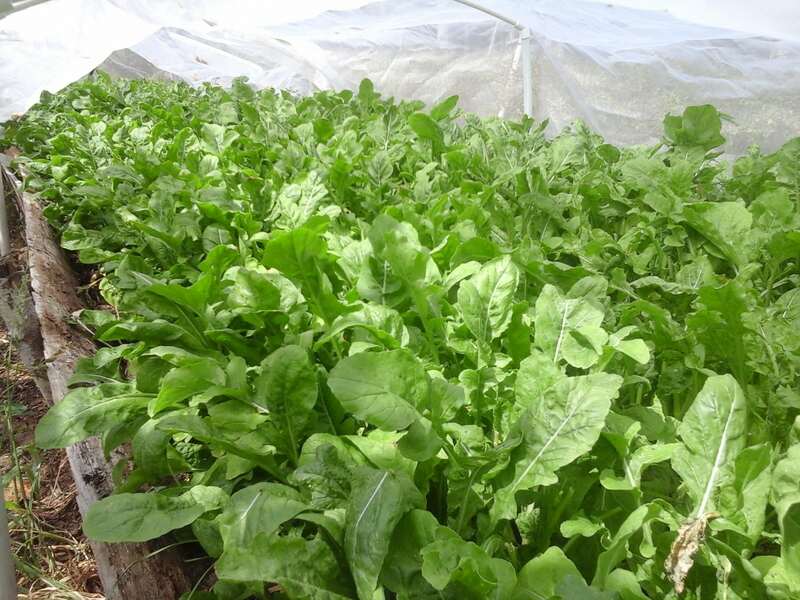 Basic in both its function and construction; it allows for the heat of the sun to extract the moisture from the plants and angles the rising moisture out to eliminate rotting. The first crop to come to me in surplus was Thai Chilis. A tiny red chili that packs a surprising punch.Here at the farm they grow tremendously well and I used the preservation method of drying to make homemade crushed red thai chili peppers. The current crop to come to me in a big enough surplus to dry was habanero peppers. These just came in and they are in the beginning stages, but as you can see I have chosen the hanging drying method for these. December 4, 2015 /by Rob B. Now while most of my inspiration comes from the local staff, community and this region of the earth, today has a little different vibe. I say this because today we will talk about the hot sauces that we have been making over the past few days. Now why isn’t this inspired by the local people and community you may ask?? Dont worry I had the same thought, but in actuality, while hot peppers grow relatively well in this climate, the Dominican people for the most part don’t like spicy food. Was an absolute shocker to me, but this is why we come to learn about other cultures to learn. The hot sauces were actually inspired by our interns who missed having access to spicy side condiments for their food. So here is what we did. Harvested habaneros, chives, garlic greens, thai chili and sweet peppers from our garden. Non harvested ingredients include sugar, vinegar, water and salt. Basics to this version: roast all the veggies in the oven, puree all together (omit salt and sugar), place on the stove and simmer with the sugar and salt added. We have been able to come up with many variations to this basic base included the darker bottle on the right, which is chipotle/rum hot sauce. For exact recipes, questions, comments, or pictures of your own variations please email me at tainofarm@gmail.com and always remember to be inspired in the kitchen!!! As luck has it, after writing my first post I was able to come into some local cheese from a neighbor. Yes, the thought to sit and eat the whole pound crossed my mind, but instead I decided to integrate it into my first major recipe for my fellow interns. I decided that I was going to cook a dish that would be a representation of myself reinterpreted using all local and organic foods available at Taino Farm and neighboring farms. I crossed the three following ideas, they should be relatively familiar to most, to create something unique. The recipes I combined were those of an eggplant parmesan, vegan lasagna, and a french peasant dish known as ratatouille. Used all local organic and sustainable farm carrots, potatoes, eggplant and local cheese similar to mozzarella. This dish was inspired from my italian upbringing where we ate lots of pasta with marinara. Chicken parm is also one of our holiday traditions and I wanted to take those flavors and create something truly unique here at the farm. Sadly this picture does not do it justice but this place came out spectacular and was a huge hit. For the full break down and recipe please send me an email at tainofarm@gmail.com and I’ll have it written up and sent. Same goes for any dish of method I explain in all of my posts. Don’t be shy. I would love to hear about recreations or variations. Inspire me to inspire you. Taino Farms, located in the picturesque town of Los Brazos within the Espaillat Province of the Dominican Republic, is a chef’s inspirational zen garden. Matter of fact, it could be any food enthusiast’s inspirational playground. 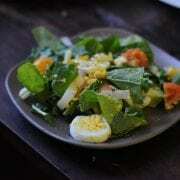 My name is Matthew Arnold and I am chef, foodie and culinary enthusiast. There is not a type of food that I am not interested in or don’t want to learn to cook. Since I arrived at the farm 2 weeks ago, I have been brimming with new and creative spins to my vastly growing repertoire of recipes. My apologies for not getting this blog up and running sooner but the overwhelming amount creativity, tranquility, and inspiration that exudes from this farm and the townspeople located here has kept me otherwise occupied. But here we go (better late than never). My hope for this blog is to inspire you to play and have fun with your cooking, to take the things from here and begin to tweak them to your own liking, take variations of what I have done and show me really what different cooks can collaborate on and bring together. Being inspired to make things that you never thought to attempt before. SHOW ME WHAT YOU DO!! I want to see anything you cook involving organic, locally grown, and whole foods. What you do inspires me and with any luck what I do will inspire you. One of my first few days I found myself laying back and trying to collect my thoughts and organize all the things I had seen here at Taino Farm into a dish that would that would represent me to my fellow coworkers and the staff here. 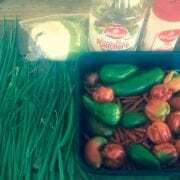 I felt that my first big dish needed to really show them a side of my cooking that drew from both my personal tastes as well as incorporate all this farm has to offer. You know, sometimes you just need to step back and take a look at what’s around you, the larger picture, to find your own direction (thanks dad for that one). This is exactly what I did. 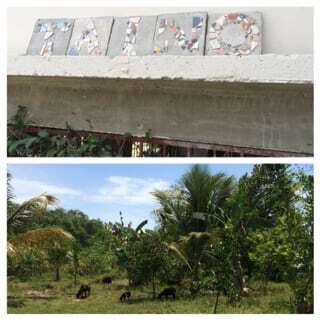 Taino Farm is a beautiful place to work and live. Sustainability is essential for success here because resources are precious and the margin for error is very small. Wasting time, money, water, etc. impacts the Taino Farm community in a big way. 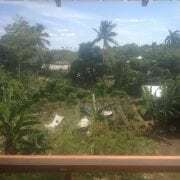 Sustainability in agriculture is quite a popular topic on the blogosphere these days but it never hit home for me until I came to the north coast of the Dominican Republic. In California, every type of food is available right at my finger tips. The concept of sustainability and protecting our resources (namely water!) is often discussed, but for me, there was no real weight behind the issue until I stepped outside of my all too familiar surroundings. 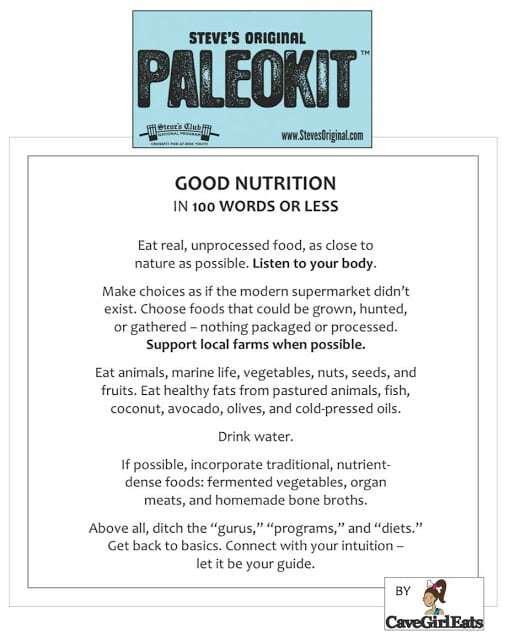 The food options for a Nutrivore are numerous but aren’t a picture perfect fit for the standard Paleo diet. I know that I need to avoid gluten, sugar, dairy and poor quality fats above all else. I have a tendency to get bogged down in the tiny details of my ever changing diet. But on the farm, it is quite easy to find what will bring the most vibrant health into my life. The freshest produce that has the most developed flavors are the basis of a Nutrivore diet. So I decided to approach the “What should I eat” question in the simplest way possible. What are the prettiest veggies in our garden? 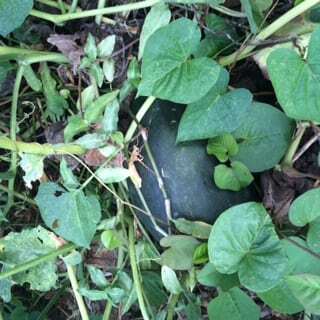 We have eggplant, cucumber, green beans, peppers, pumpkin, and TONS of delicious greens – spicy, sweet and mild. Arugula, kale, mustard greens and cranberry hibiscus are the farm favorites! 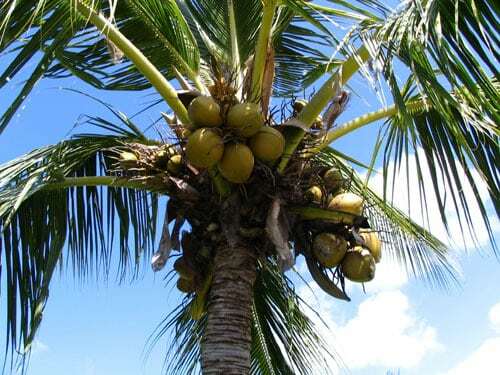 Also on the list for special treats and simple sugars to revitalize thirsty, sweaty farmers quickly are coconuts, plantains, cacao, and delicious tropical fruits like Abiyu and Mangos. In California, my paleo diet consisted of high protein and low carb. So far in the Dominican Republic, clean protein sources have been hard to come by. Luckily on the farm we have delicious pastured eggs and Tilapia from our aquaponics system. As part of the internship program, I spend half my time on Kite Beach, Cabarete at the Extreme Hotel where I eat at restaurants 1-2 meals per day. I have found that most lean animal proteins aren’t high quality and are most certainly covered in industrial seed oils and sauces that do not promote good health in my body. This does not go with the Nutrivore theme! Therefore…gasp…I have started eating beans and legumes to supplement my diet. Perhaps I am picking the lesser of two evils. I am pairing legumes with tons of anti-inflammatory foods and my body has been able to find some balance. Nutrition choices can be confusing especially when you have dietary restrictions. But, as Liz Wolfe says ” Get back to basics. Let intuition be your guide”. What is nutrient dense, fresh, and grows right in front of my face?